After some time, your old pond equipment may no longer work as it used to. Or, it may have updated versions out in the market already. But as to how to keep your pond healthy, there are tips already tested over time and are bound to stay helpful for pond owners like you, no matter what. Let’s take a look at few of them in this post. It starts with the number of fish you have in your pond. Generally, you’d need at least 1000 gallons of water and at least ten square feet to be able to care for one koi. It’s exciting to see several fish happily swimming in your pond. But, overpopulating will only result to more contaminates. Make sure to consult your pond builder about the right number of fish you can care for. Adding plants help control algae growth as this blocks sunlight from reaching the bottom part of your pond. However, the more plants you have, the more you’d need to pay attention to overgrown or dead leaves. Decaying matter robs fish of oxygen, which can be extremely harmful for them. Keep a good mix of floating and underwater plants to help sustain the overall health of you pond, but make it a habit to check on water quality at least once a week. Read: How Much Sunlight Does a Pond Need? While your koi always look as though they could take in more food, resist feeding them more. Your fish would be able to find ways to feed themselves in a balanced pond. Also, note that your pet fish wouldn’t need food while they’re hibernating during cold winter months. As long as your pond has sufficient depth and your fish are able to find a comfortable place at the bottom to stay at, then you have nothing to worry about. They’d get back up and swimming again after winter. Fish gasping for breath is a sign there’s inadequate oxygen supply in your pond. To help increase the amount of dissolved oxygen in your pond, encourage water movement. 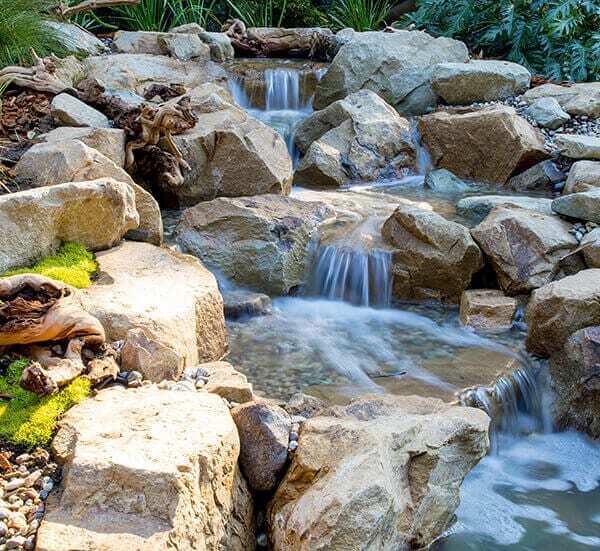 This is where your pond aerator and waterfall come in handy. Note as well that warmer water holds less oxygen than cold water. Then again, always check your pond equipment to make sure they’re functioning properly. Even when you’re not using harmful chemicals in your pond, it could still suffer from contamination due to runoff. With that, avoid using pesticides near your pond. If you’re concerned about mosquitoes around your pond, your fish could help ease the problem. They can help take care of the mosquitoe eggs so they would no longer develop. Larger ponds are easier to maintain as there’s more water to help dilute waste. In smaller ponds, concentration also tends to be higher. Also, when cleaning a small pond, you’re likely to spend a lot of time down on your knees taking care of fallen leaves, doing your regular cleanup. Deciding on the size of your pond, however, still depends on your preferences and the project location too. Smaller ponds, for instance, may be friendlier for families with little kids. Algae are a form of aquatic plant. They’re beneficial for your pond as they help give it a natural look and keep the water quality healthy. Add to that, they also serve as food for your fish. The ‘stress’ associated with pond algae starts as they grow excessively. However, this is as well a sign of toxin or nutrient buildup in your pond. Check out these tips on how you can manage the amount of algae in your backyard pond. Keeping your outdoor pond healthy requires commitment. However, it doesn’t have to be a chore as long as it’s done the right way. Take preventive measures and resolve problem areas (should you find any) immediately. If you need help cleaning out or restoring the beauty of your pond, you can get in touch with us at 888 600 7224 or simply fill out the free estimate form on the right side of this page.